Two separate alternative business structures specialising in commercial contracts went live today – each offering clients a non-traditional alternative to corporate law firms. Wavelength.law, a new business based in Cambridge, aims to use new technology to deliver “beautiful solutions”, and said its first recruit was a “computational data scientist”. Ember Contract Solutions, by converting to an ABS today, has become part of the Ember Group, a specialist management consultancy. Peter Lee, chief executive of Wavelength, said companies using the service could utilise their in-house lawyers differently. “They will be freed up to do more strategic and compliance advice, which are less automated,” Mr Lee said. Mr Lee remains a consultant at Cambridge-based Taylor Vinters, where his practice is centred on the law relating to drones. “We thought that there must be a better way of concluding commercial deals, using data around the deals and in the contracts. Our technology uses computers in a more sophisticated way to help lawyers. There is more consistency, there are fewer errors and the rules are continually updated. “We use the word ‘beautiful’ about our visualisations of risk. You can display the liabilities in a suite of contracts in a visual way that is more interesting and understandable. Mr Lee said Wavelength was majority-owned by himself and chief operating officer Drew Winlaw, the other co-founder. However he said there were also a small number of individual investors. Meanwhile David Williams, managing director of Ember Contract Solutions (ECS), said his relationship with the Ember Group began as head of outsourcing at Carphone Warehouse. He said the group was keen to expand its services into new sectors and, following its conversion to an ABS today, he owns half of ECS and the Ember Group the other half. Mr Williams, a former City lawyer, said the firm’s core target were the buyers and suppliers of outsourced technology services, such as contact centres and app developers. “What we’re trying to do is break down the silos,” he said. 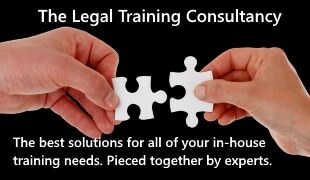 “Clients who don’t know how to outsource parts of their business have traditionally bought in advice from law firms. 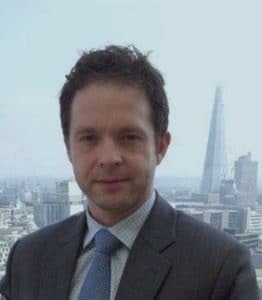 Mr Williams said he was joined on the board of ECS, based in London, by three directors – Siu Ha Tang, a solicitor and former colleague, and two directors from the Ember Group, David Leedham and Mike Havard.